Tinhorn Creek Vineyards is thrilled to announce that it has received Canada’s Safest Employers Award, 2016 in the Hospitality category. The award recognizes companies from across Canada with outstanding accomplishments in promoting the health and safety of their workers. “We are truly honoured and proud to receive this accolade,” says Tinhorn Creek Vineyards’ CEO & President Sandra Oldfield. 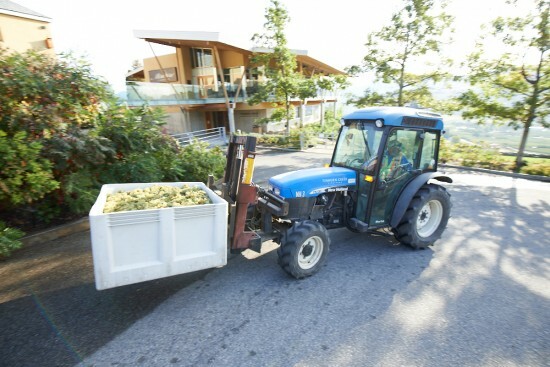 “The award is a huge accomplishment, our winery is small in comparison to others who have won this award in previous years and our business operations are wildly diverse.” From vineyard farming to winemaking production, outdoor events, guided hikes and summer concerts, Tinhorn Creek welcomes some 60,000 visitors a year who want to see it all up close. Earning Canada’s Safest Employers Award today marks another important milestone for the winery and their aim to make a difference in the work place through putting people first. Sandra’s hope is that Tinhorn Creek being recognized in this way will spur other wineries to think about their safety programs and make changes that benefit employees in the industry. CEO & President Sandra Oldfield, alongside winners in the other nine categories, has accepted Canada’s Safest Employers Award on behalf of the entire Tinhorn Creek Vineyards team at a gala event in Toronto at the Arcadian Court. Further images available upon request, a video with more information is available here.